I've added a new link at the bottom of each page for those who like to view the site in reverse chronological order. Dry with cloud, but still very cold. 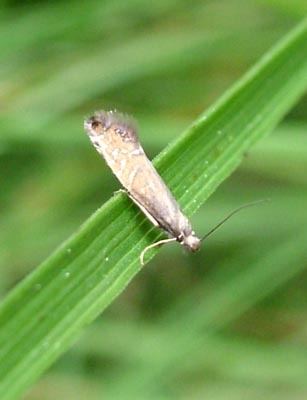 Two shots of another micro-moth - Glyphipterix thrasonella - about 8mm long. And, of course, another first county record. The Cocksfoot grass has now flowered. Your task is to identify the red item to the centre right. There are very many yellow daisies. This is one of the smaller-flowered, but taller species. Nipplewort - Lapsana communis. Two shots of a rather attractive fern: Wall-rue - Asplenium rura-muraria. 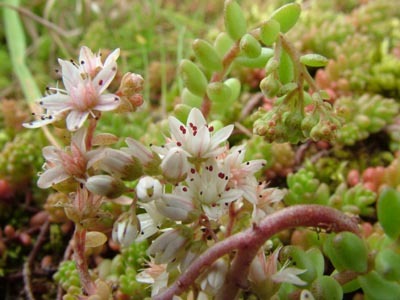 This is the English Stonecrop - Sedum anglicum. The old wall to the south of the town is covered with it. Not much of a picture, but I can't ignore any Ichneumons, no matter how tiny. 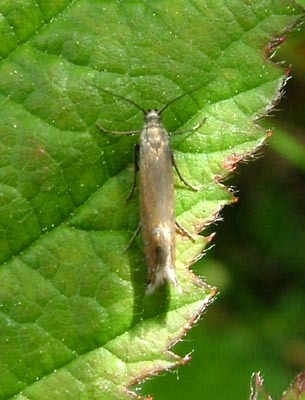 This one was about 8mm long, on Nettle. 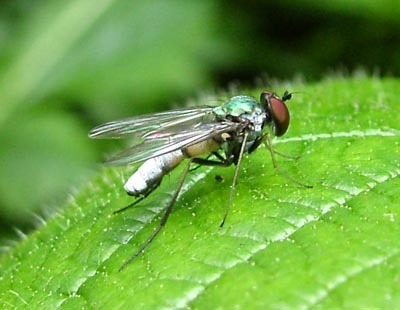 I first photographed this very distinctive fly last year. 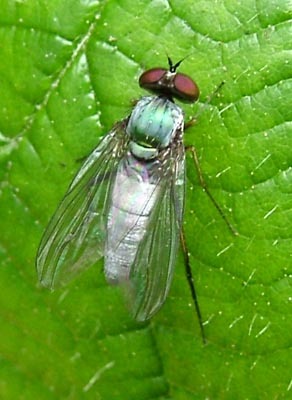 It belongs to the Argyra family, of the Dolichopodidae or Thick-headed Flies. About 1 cm long.